Any one poem in Fleda Brown's eighth collection may touch on contemporary science, physics, family, politics, the nature of poetry, and the nature of reality. There are sonnets for all ten grandchildren written by a grandmother, poems about the Big Bang, about child labor, the moon over Paris, and tent caterpillars, all written with humility, humor, curiosity, and a deep love of life. each a random fuzz-spot, a sad little purse. Fleda Brown's awards include the Felix Pollak Prize, the Philip Levine Prize, and the Great Lakes Colleges New Writers Award. Fleda Brown's memoir Driving With Dvorak was published in 2010 by the University of Nebraska Press. Her six collections of poems have won a Pushcart Prize, the Felix Pollak Prize, the Philip Levine Prize, the Great Lakes Colleges New Writer's Award, and have twice been a finalist for the National Poetry Series. 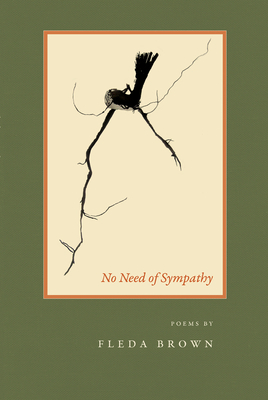 Brown's poems have appeared in Poetry, Kenyon Review, Southern Poetry Review, American Poetry Review, The Georgia Review, and many other journals and anthologies, and they have been used as texts for several prize-winning musical compositions performed at Eastman School of Music, Yale University, and by the Pittsburgh New Music Ensemble. She is professor emerita at the University of Delaware, and former poet laureate of Delaware. She now lives in Traverse City, Michigan, and is on the faculty of the Rainier Writing Workshop, a low-residency MFA program in Tacoma, Washington.